Special iApps is a multi-award-winning non-profit social enterprise with a worldwide reputation for creating educational apps for those with learning disabilities and additional needs, as well as in early years education. They initially created apps to teach their youngest son William, who has Down syndrome and autism, now they support children in 100+ countries and 27+ languages. Brilliant app, so easy to use. This is a brilliant app, so easy to use and my son loves it. You can print the stories or go through them on your phone when out and about. Really invaluable. 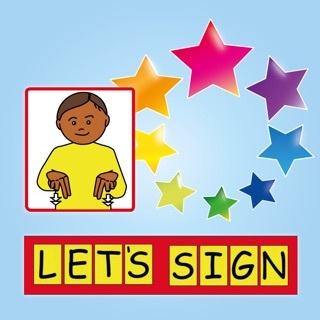 Excellent tool for kids with learning difficulties! My 4 year old son has down syndrome and his speech and language therapist recommended that we make storybooks for him. It takes along time printing and connecting the camera to the laptop etc. However using this app is excellent because it's so interactive & immediate. You can create pages of a story in seconds. Also as well as the text and picture you have also got the spoken word. I showed this app to his teacher before Easter break and she was like when is he bringing his iPad into school because they couldn't wait to use it with him. I can't wait to see stories about his day at school so that we talk about them together when he gets home. I have also purchased the other app made by the same people call Special words which I also can't recommend enough. I bought an iPad specifically to buy & use these apps and it was worth every single penny. Even after a few days of using these apps Ive noticed an improvement in his speech. I have a picture of his brother and sister in a book called my family. Hes already starting to use words like big brother and little sister rather than just their names. I can't wait to see what other apps they come up with! This is a fantastic app. I can't believe how easy it is to create completely individualised stories for my son. Like many parents I have spent countless hours in the past taking and printing photos, typing text, cutting and sticking into scrap books etc and now I can make a story in minutes. It's brilliant.! We went to the museum recently, I took the iPad and took photos . I had made our dinosaur story before we had even left the museum! We could talk about it using our story when we got home. I can use vocab which my son can read so he can record his own story. I can use vocab which he is working on at school or in speech therapy. I send his ipad to school. His TA records activities she does with him as a story then when he gets home we can read the story together and talk about his day. I can't recommend this app highly enough for a child with special needs for developing reading and language and for making the creation of individualised resources so quick and easy.